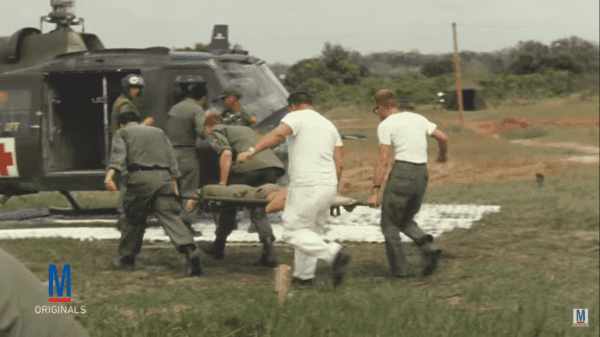 Medical evacuation, often shortened to medevac or medivac, is the timely and efficient movement of en-route care provided by medical personnel to the wounded who are being evacuated from a battlefield. This also includes injured patients being evacuated from the scene of an accident to receiving medical facilities or patients at a rural hospital requiring urgent care at a better-equipped facility using medically equipped ground vehicles (ambulances) or aircraft. Did you know that the first time a helicopter was ever used for medical evacuation was during World War II? In April 1944, the U.S. Army’s transport aircraft carrying three wounded British soldiers was forced down in enemy lines in Burma. It made four flights over a three-day period. Lt. Carter Harlan evacuated the wounded, successfully completing the first ever medical evacuation. 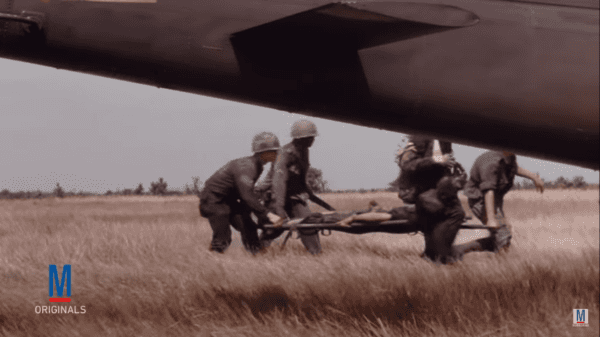 Did you know that the first use of helicopters for medical evacuation took place during the Korean War? 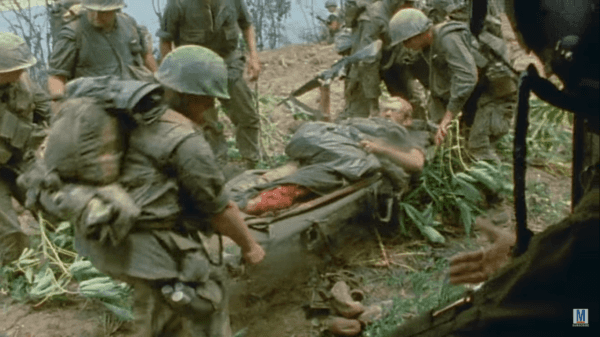 It is estimated that some 20,000 casualties were evacuated by helicopter in the Korean War. The Bell H-13 Siouz was the main aircraft that conducted the evacuations, but the cockpit was too small to accommodate the wounded, leading to the medical evacuation helicopter. Did you know that by 1969, a soldier wounded in Vietnam had a better chance of survival than a civilian injured on a California highway? The Bell UH-1 Huey helicopter used during the Vietnam War revolutionized medical evacuations. It was the first time that a transport aircraft had enough room to not only carry the wounded but to treat them while in flight. It also reduced the number of deaths to one death for every 100 casualties. This led to the use of civilian medical transport by helicopter. Did you know that the HH-60M Black Hawk is the most advanced and capable aeromedical evacuation helicopter in service today? The speed of how quickly soldiers can be taken from the battlefield continues to advance. Technological advances make it even more possible to treat the wounded in flight. The HH-60M Black Hawk features life support systems and triage. Did you know that DARPA is developing a biological mechanism to control internal bleeding? Uncontrolled blood loss is the leading cause of death for warfighters on the battlefield, according to DARPA. IEDs are very common on the battlefield, and fragments from the IED account for 85 percent of uncontrolled bleeding. The Wound Stasis System (WSS) program injects a foam directly to the site of the uncontrolled bleeding while in transport and stops the bleeding until the foam can be removed by a doctor at a full-service hospital.